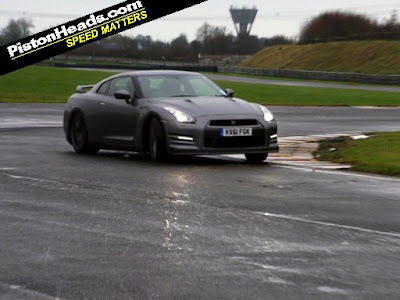 Pistonheads posted a video from Chris Harris, comparing the BMW M5 vs the Nissan GT-R. Autocar did it earlier in the week, in this video, in rainy old England, Chris throws these two cars together. Chris Harris reviews the new 2012 BMW M5 and Nissan GT-R, in the rain. Do these two cars belong together? Probably not - but it's perfect for YouTube search results, and thats why we're doing it. Watch as Chris reviews the two cars on the street and on the track. Check the video out after the break.